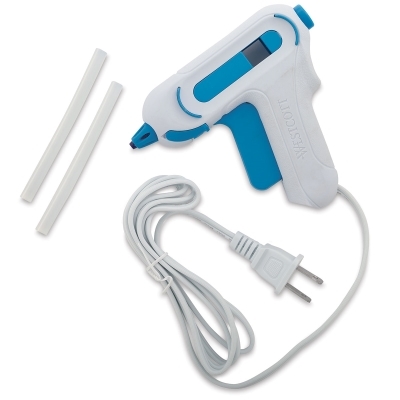 The Westcott Mini Hot Glue Gun is a low-temperature glue gun that features a built-in glue stick holder for continuous gluing. It has two stands and a non-stick nozzle that changes color when it's ready to use. Package includes two all-purpose glue sticks. 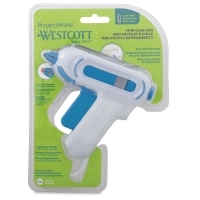 ® Westcott is a registered trademark.® ProjectMate is a registered trademark. ® Styrofoam is a registered trademark.